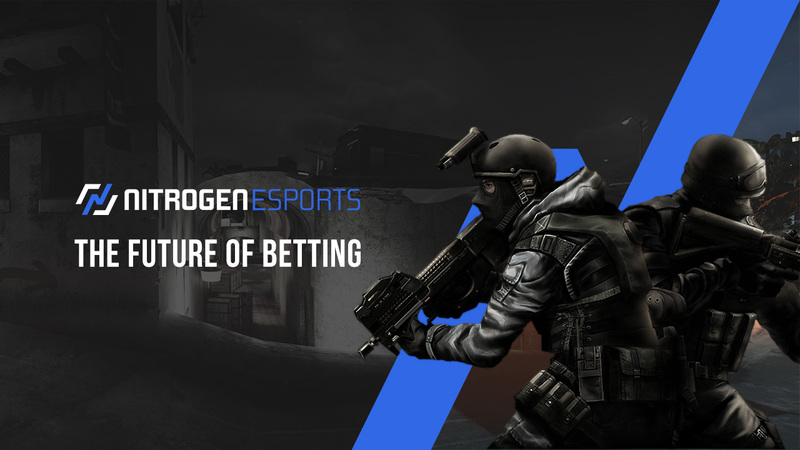 Nitrogen Esports brings one of the strongest esports betting offers to the market, lets play! Esports betting is a rapidly growing market, but as both big traditional sportsbooks and newer startups are competing for space it can be a little difficult to find what you are looking for. If you want to place a bet for real money or a fake currency, we have gathered the most interesting esports sportsbooks around, as well as their current sign-up deals! Esport betting on CS:GO, Dota 2, Hearthstone, Heroes Of The Storm, League Of Legends & World Of Tanks. Bet at To Win, Win/Draw/Win, Correct Score, Outright & Double Chance. The man, The myth, The legend in green. A multiple rewarded site which launched the Kambi sportsbook in 2016. Grab a welcome bonus and try it out. Test your knowledge against fellow esports enthusiasts rather than "the house" with mutual betting at OneHash! Also with super simple setup using bitcoin. LeoVegas is the majestic king of mobile casino. The Leo Vegas betting platform is super fast and smooth like a lion's fur. What are you waiting for? A roar? What is not to love about this summit? Winners are welcome, arbitrage betting is allowed and they offer the absolute best odds by focusing on volume rather than margins. Amazing! On GG.BET you can always quickly and easily place a bet on your favorite esports team. Their cash out process is fast and transparent. Combined with a mobile version of the site! Betsafe is a sponsor of extreme sports like Redbull and hosts the yearly Gumball 3000 car race across continents. Betsafe dares more, and wants you to bet on it! Bet on esports with Betsson, the famous Swedish betting giant. Betsson is one of the most secure and trusted casinos among gamblers from all over the world. The esports betting market is not only big, it’s under constant change as well. But as someone working with several sportsbooks ourselves, we are on top what's happening in the scene. We will keep this page under constant updates to keep you up to date with the best odds and offers in the market. We are sure there will be number of really interesting products coming up during 2017. WHY ARE THERE SO MANY NEW SPORTSBOOKS? As you may have noticed there are a lot of new sportsbooks around, and you may ask yourself why. Well, it’s because betting on your favourite teams and players can add another layer to the excitement! Lots of sportsbooks also have slightly different offerings and, especially when it comes to esports, they may offer different levels of gamification. As you may be aware, there have been a number of scandals around betting in esports, both with match fixing (although this has almost completely disappeared as the scene has grown) and non-legitimate betting sites. The issue here has been the lack of licensing and oversight of these operators. The sportsbooks that we list on this page all have proper licenses and you can rest assured that regulators have your back! Esports offer a unique ability for gamification and themes when it comes to betting products. So depending on what you are invested in, if it's just great money line odds or all the way to what is more or less a game itself based around esports, you should be able to find what you are looking for! WHO ARE BEHIND THE SPORTSBOOKS? It is not an easy task to set up a sportsbook, especially not from scratch. That is why a lot of the sportsbooks you see here are from already established brands that are excited to try out esports. There are however a number of tech and betting skilled people from the esports and broader tech scene that are setting up some new and unique products. Even though the established firms will always be able to offer you a thoroughly tested and proven platform there are good reasons to try out new ones as well. First of all new companies and products are usually started from a point where they can observe the best practices from today and use that as a starting point to build great new sportsbooks. Secondly, newcomers often have really good offers and favourable odds to be able to compete when they launch.